Samford University is seeking nominations for the 2015 Alumni of the Year and Outstanding Young Alumnus honors. The recipients will be honored during Homecoming weekend this fall. Deadline for nominations is Feb. 6. Nominees for Alumnus of the Year should be distinguished in their professional careers, community and church involvement, and in their ongoing service to and financial support of Samford. Recognition can be for lifetime achievement or for a significant achievement during the previous year. To be eligible, graduates must have completed at least one Samford degree at least 15 years prior to selection (2000 or earlier). Nominees for Outstanding Young Alumnus also should be distinguished in their professional careers, community and church involvement, and in their ongoing support of Samford. 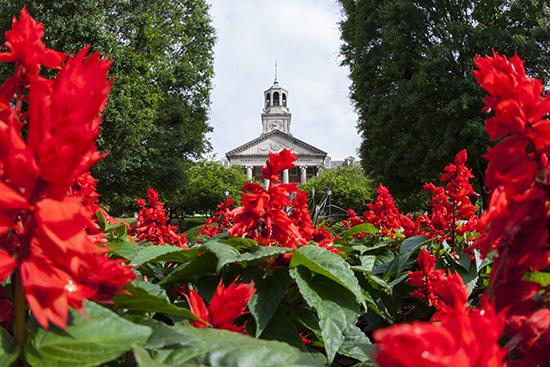 To be eligible, graduates must have completed at least one Samford degree within the last 10 years (2005 or later). Nominations for Alumnus of the Year can be submitted online. Nominations for Outstanding Young Alumnus can be submitted online.